Very unlikely that there's something wrong with the \Firmware files. Only a guess... Try a different (less <= 8 GB) SD. You only need the \Firmware files on it. BTW, what version were you updating from since this 3.32 version has been around for many years. No need to update unless you were running an old version. The smaller card did not work any other ideas ronS? Not other than keep trying other things. Maybe disconnect your battery for a minute to force a cold boot. 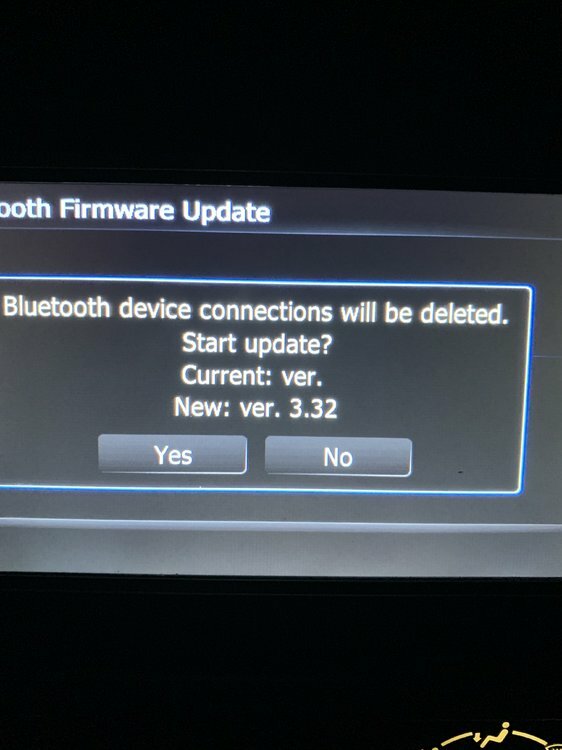 There some stuff in TestMode (there's several pages of options) to test Bluetooth and Program Forced Write can force a BT firmware update. Careful - there's some dangerous stuff there too. It could also be a hardware problem. I recall others that had similar problems. But repair is kind of expensive and for a unit this old it might not be worth it.